Herculaneum VI.8. 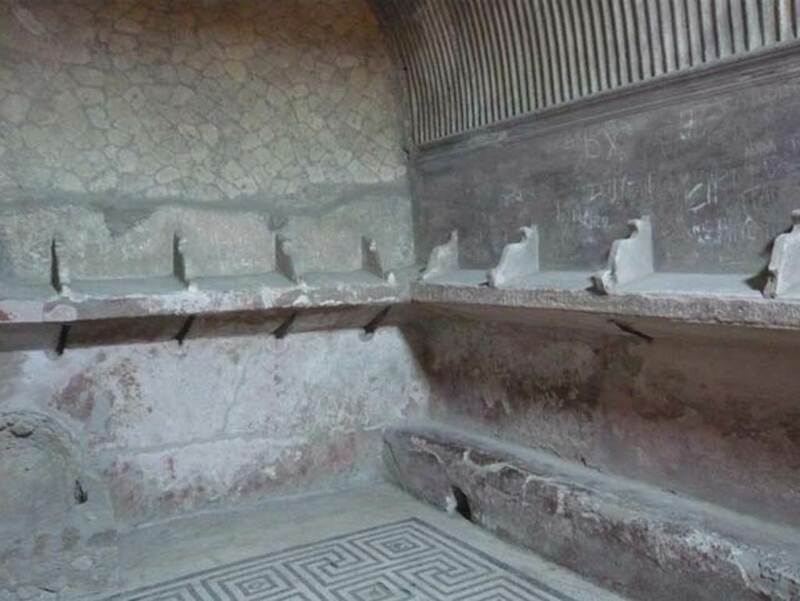 Women’s Baths Tepidarium. 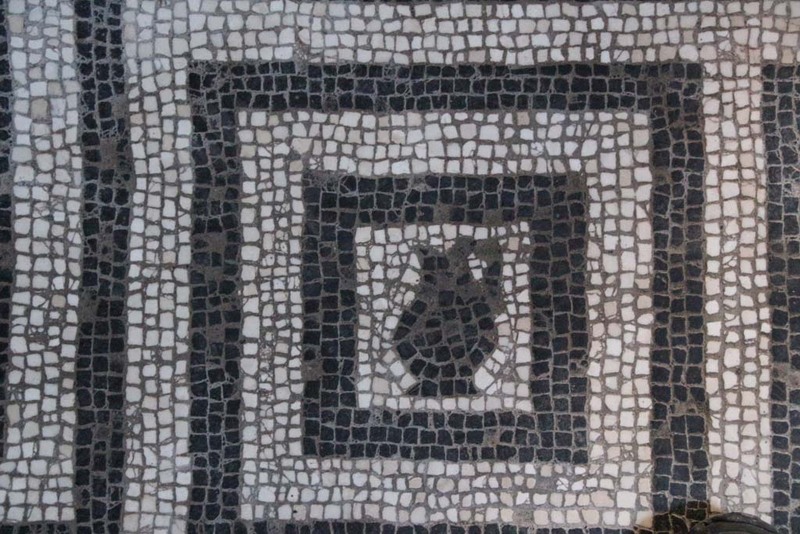 VI.8, Herculaneum. May 2010. 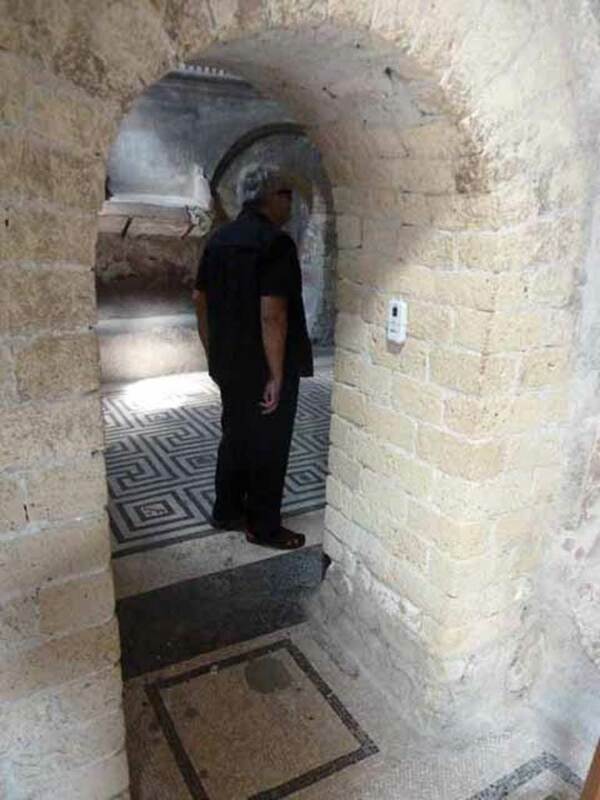 Arched doorway in west wall of apodyterium (changing room) into tepidarium (warm room). 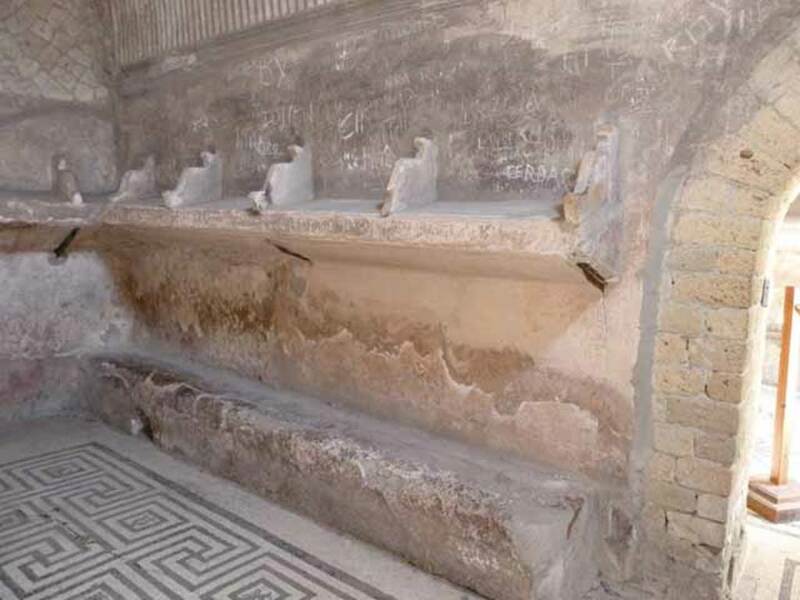 VI.8, Herculaneum. May 2010. East wall of tepidarium, and north-east corner. 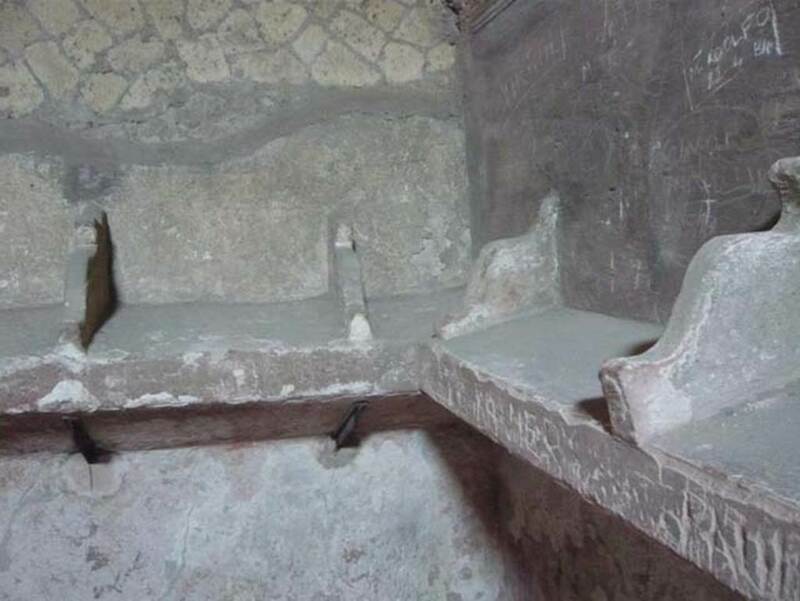 This room would have been heated by a brazier, and also had shelving for clothing and articles. 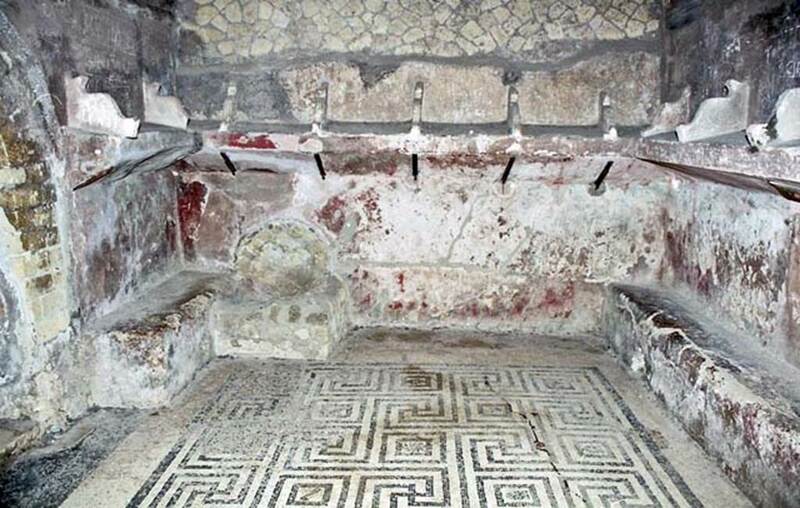 This is, as described by Maiuri, the tepidarium, smaller than the preceding room, with the usual shelf divided into separate recesses for clothes and bath linen and a finer mosaic pavement with the geometrical meander motif. 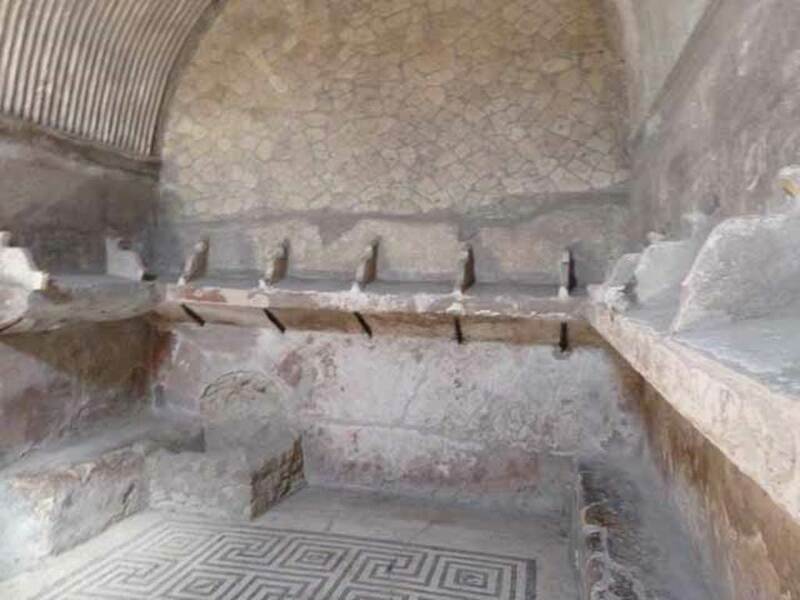 VI.8, Herculaneum. May 2010. East wall of tepidarium. 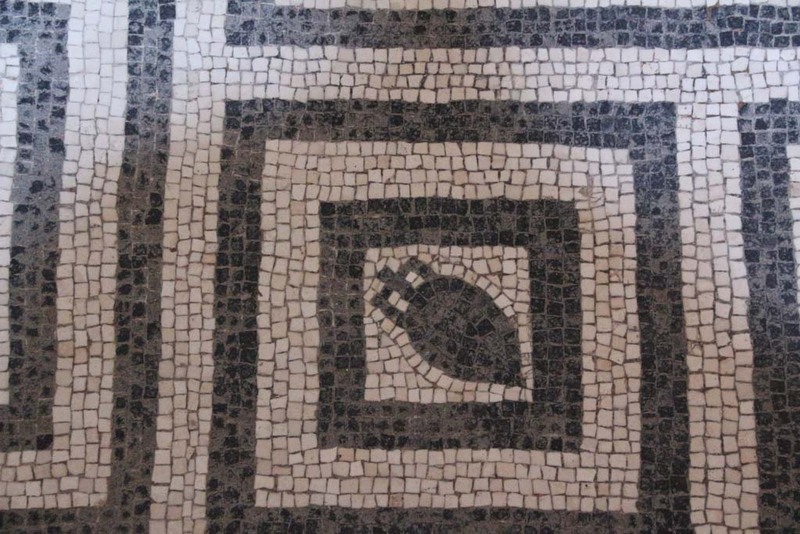 VI.8, Herculaneum. August 2013. Looking towards north-east corner of tepidarium. Photo courtesy of Buzz Ferebee. 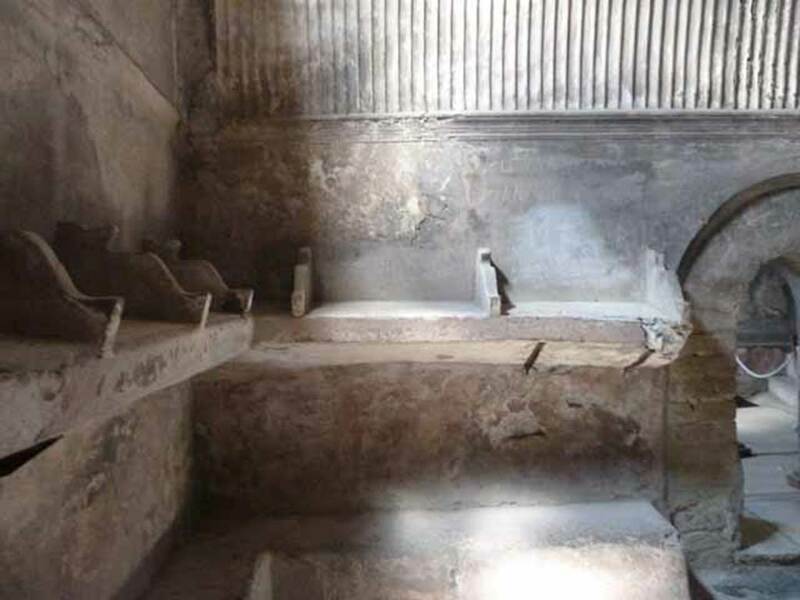 VI.8, Herculaneum. August 2013. Detail of shelving in north-east corner. Photo courtesy of Buzz Ferebee. 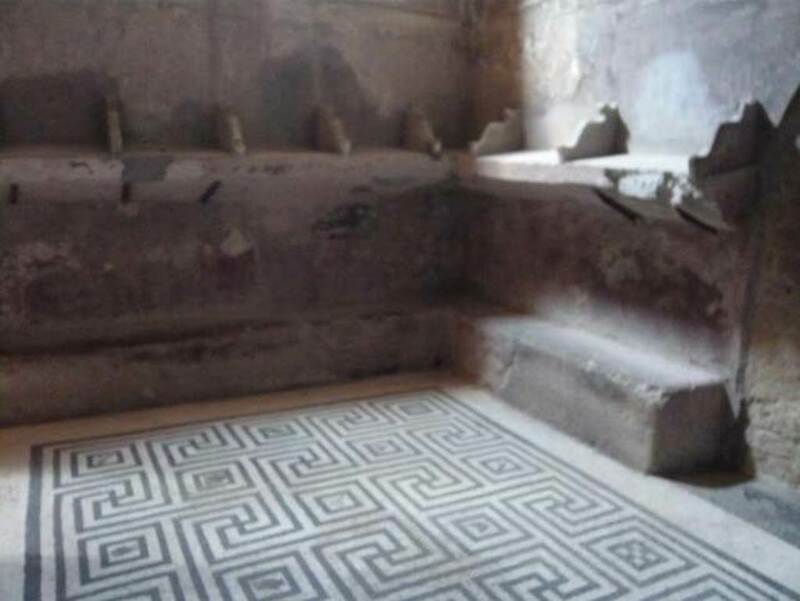 VI.8, Herculaneum. August 2013. Looking towards north wall of tepidarium. Photo courtesy of Buzz Ferebee. 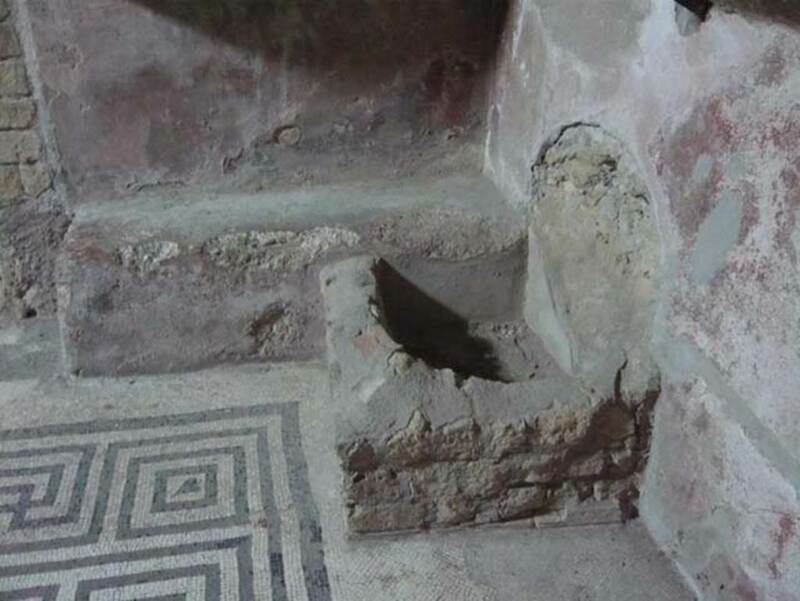 VI.8, Herculaneum. May 2010. 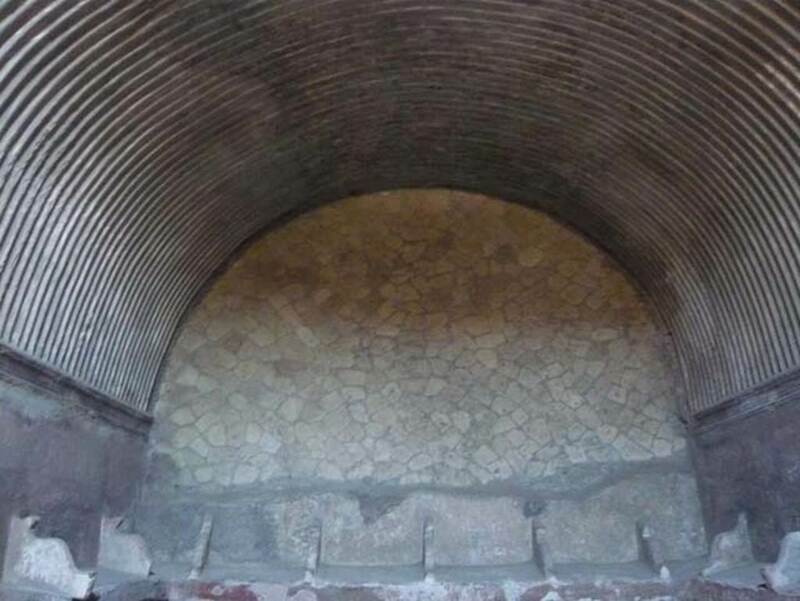 North wall of tepidarium. 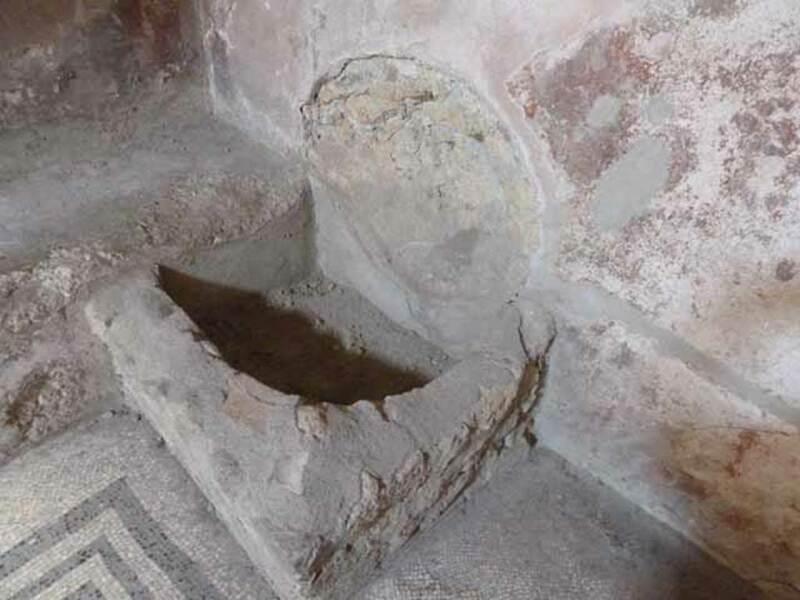 VI.8, Herculaneum. October 2001. Looking towards the north wall of tepidarium. Photo courtesy of Peter Woods. 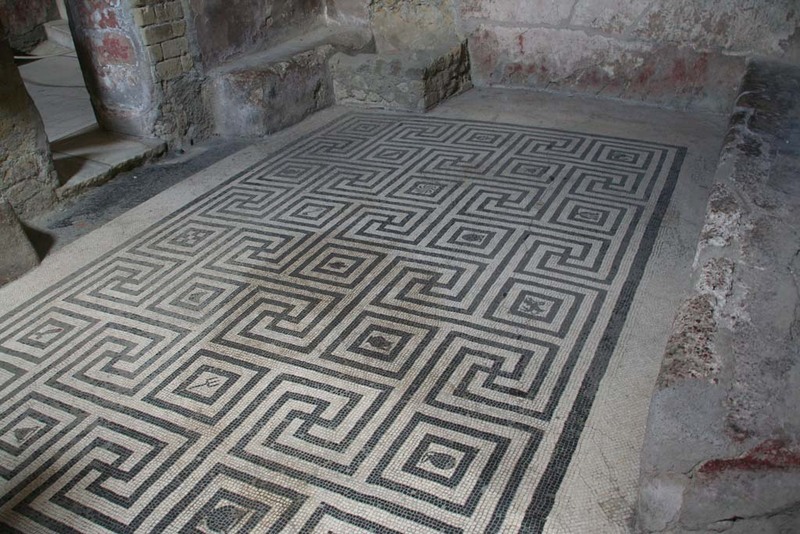 VI.8, Herculaneum. August 2013. Detail of shelving against north wall. Photo courtesy of Buzz Ferebee. 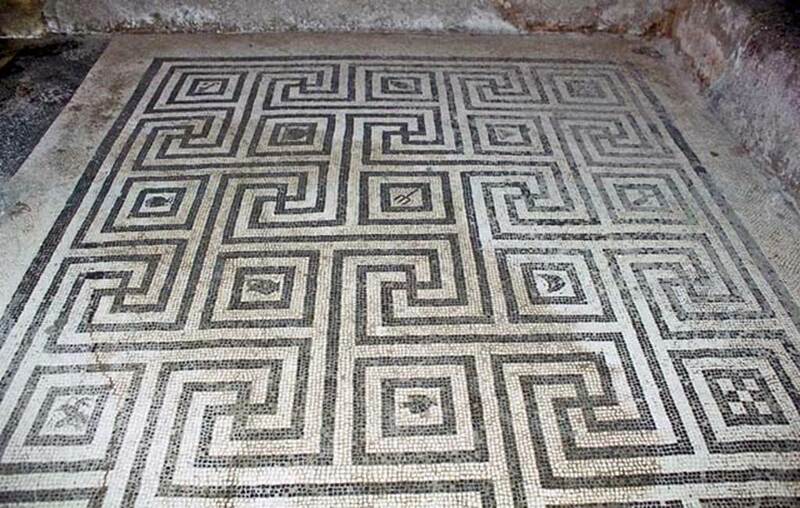 VI.8, Herculaneum. May 2010. 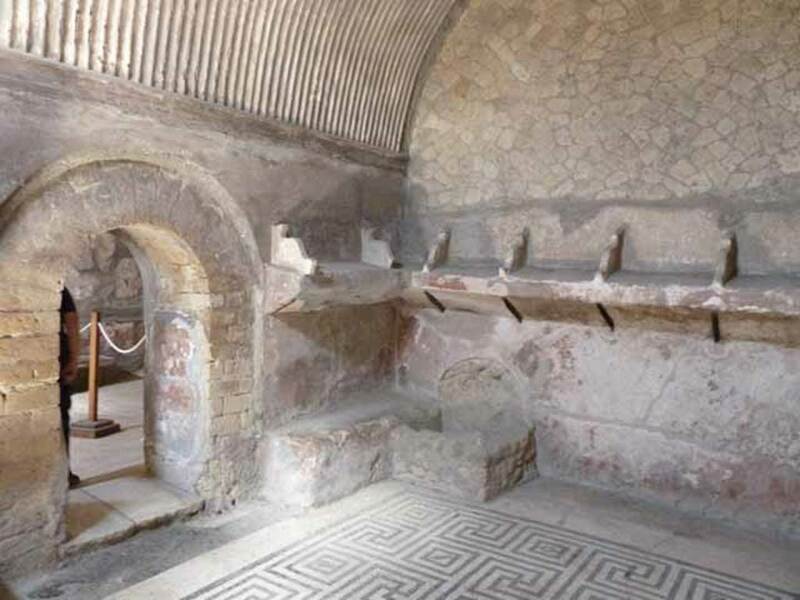 North-west corner of tepidarium and doorway to caldarium. 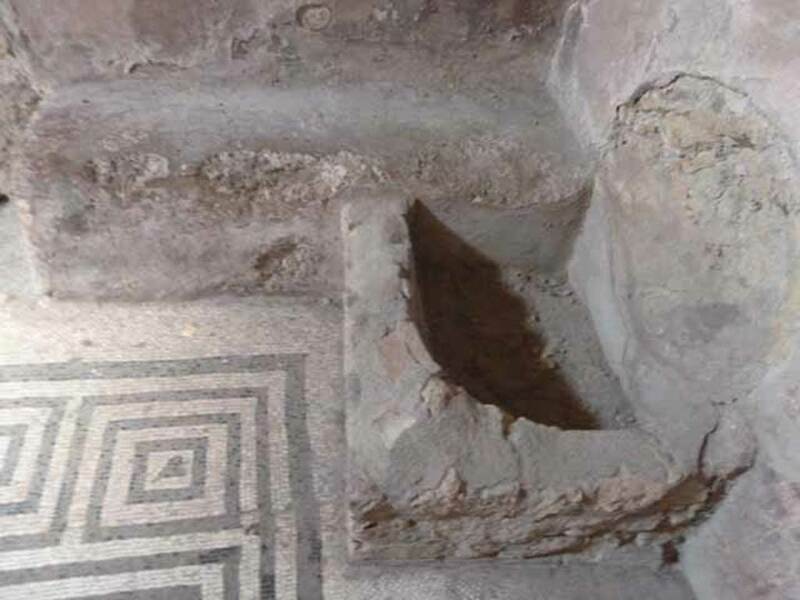 VI.8, Herculaneum. August 2013. Structure in north-west corner. Photo courtesy of Buzz Ferebee. 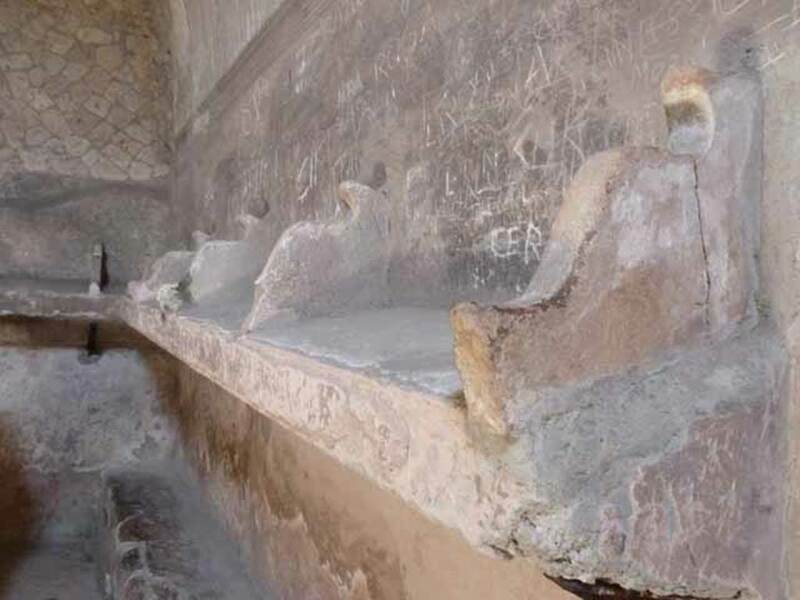 VI.8, Herculaneum. May 2010. Structure in north-west corner of tepidarium. 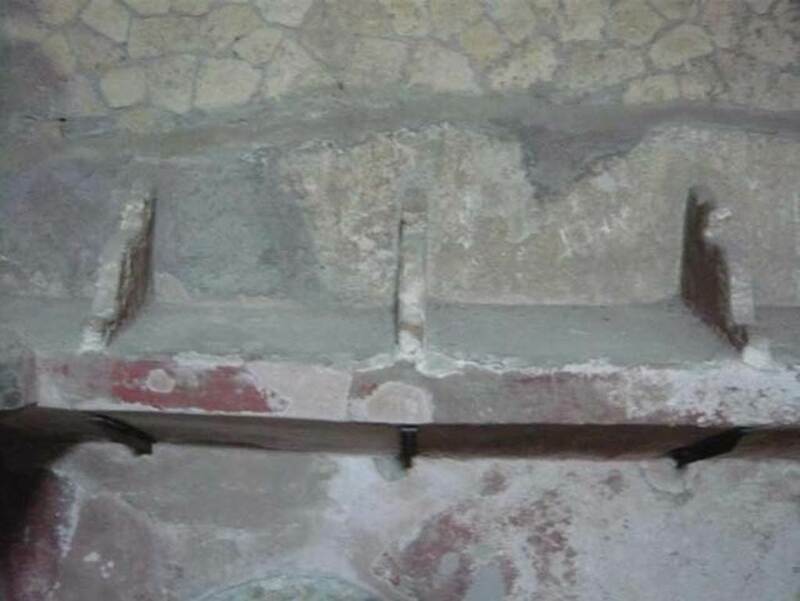 VI.8, Herculaneum. May 2010 Structure in north-west corner of tepidarium. 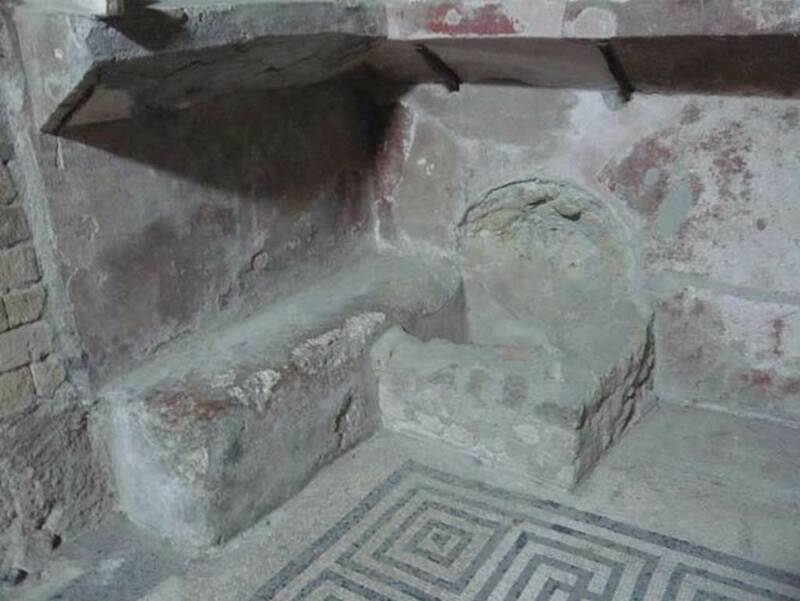 VI.8, Herculaneum. August 2013. 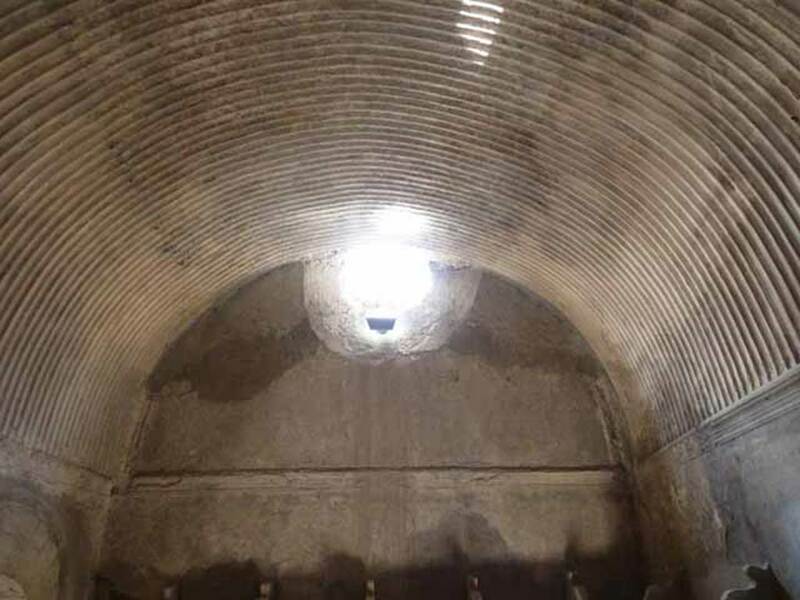 Looking towards north-west corner of tepidarium, and doorway in west wall into hot room or caldarium. 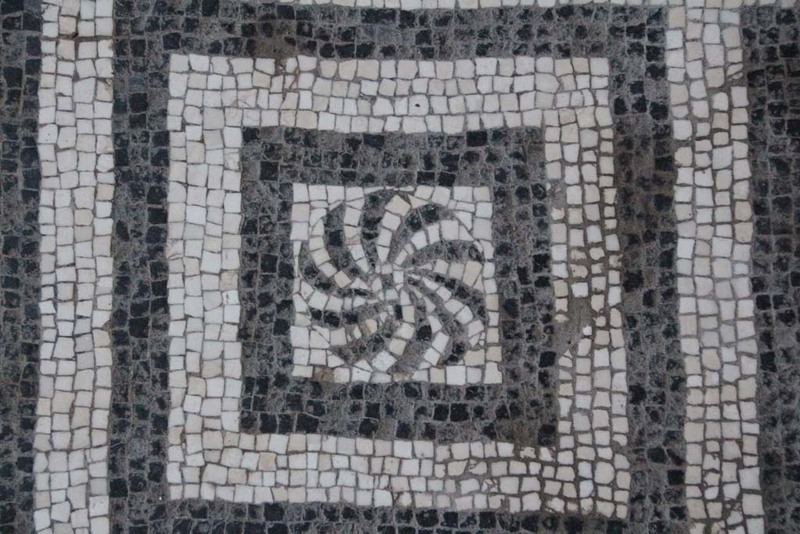 VI.8, Herculaneum. May 2010. 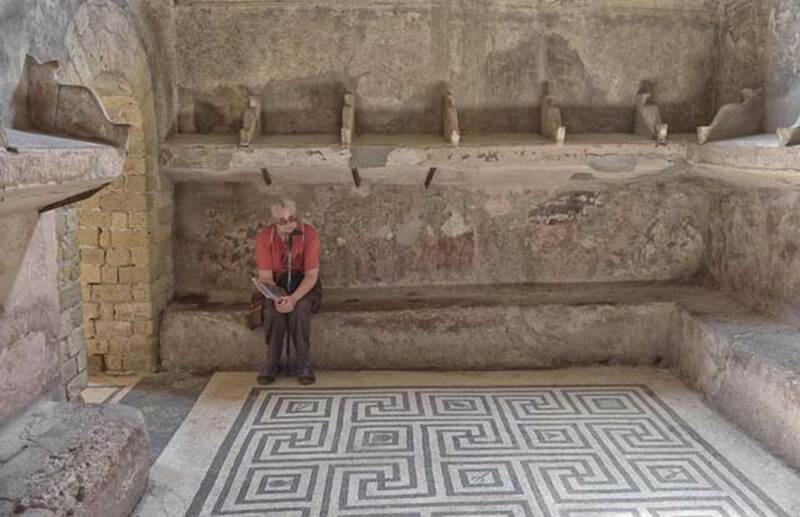 Shelving and seating in south-west corner of tepidarium. VI.8, Herculaneum. August 2013. Looking towards south wall and south-west corner of tepidarium. 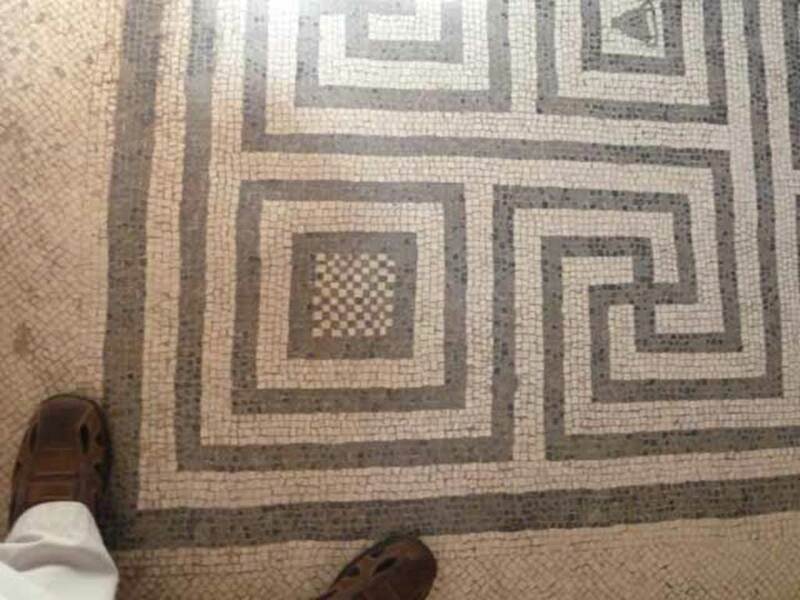 VI.8, Herculaneum, April 2018. 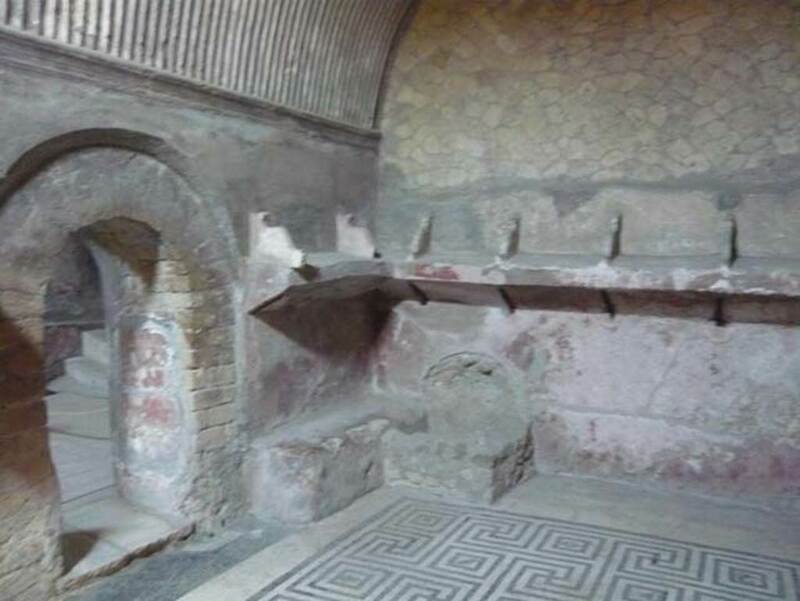 Looking across tepidarium towards south wall, with doorway to apodyterium (changing room) in south-east corner, on left. VI.8, Herculaneum. May 2010. South wall of tepidarium. VI.8, Herculaneum. May 2010. 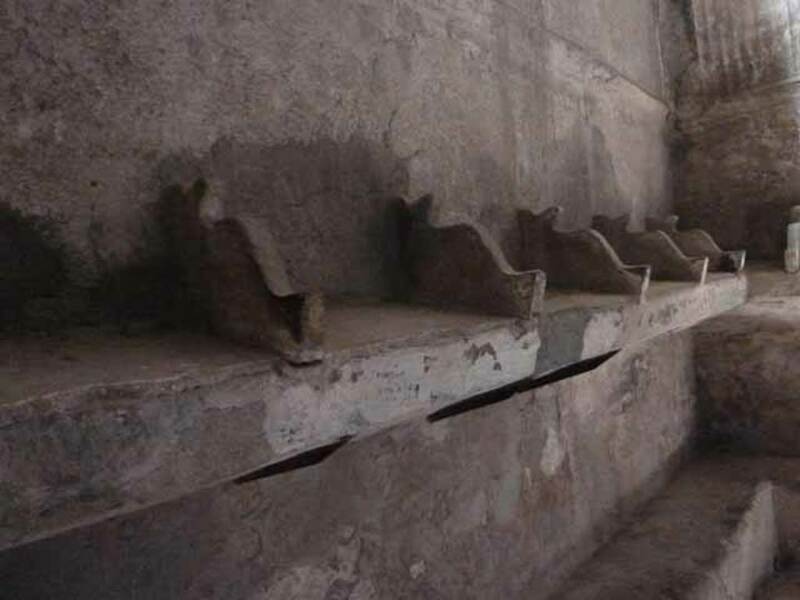 Shelving and seating on south wall of tepidarium. VI.8, Herculaneum. August 2013. 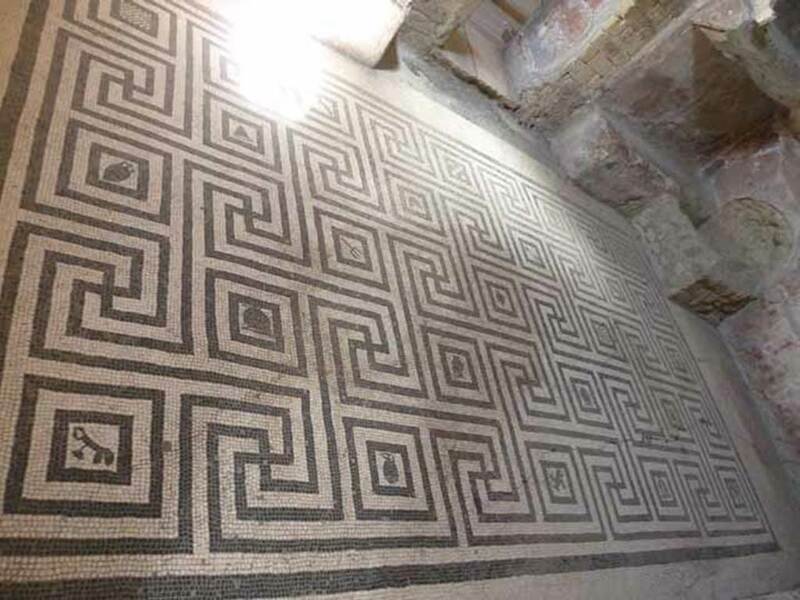 Meandering mosaic floor in tepidarium. Photo courtesy of Buzz Ferebee. VI.8, Herculaneum. May 2010. 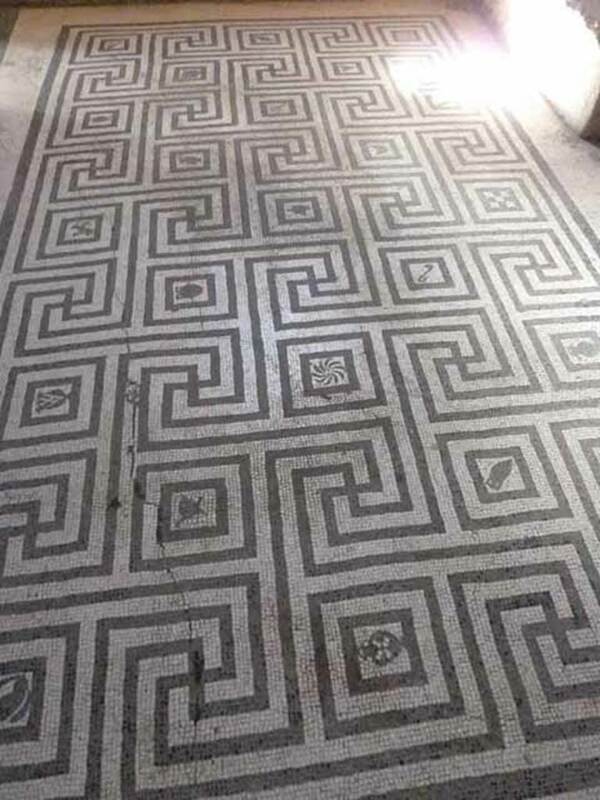 Meandering mosaic floor in tepidarium. VI.8, Herculaneum. October 2001. 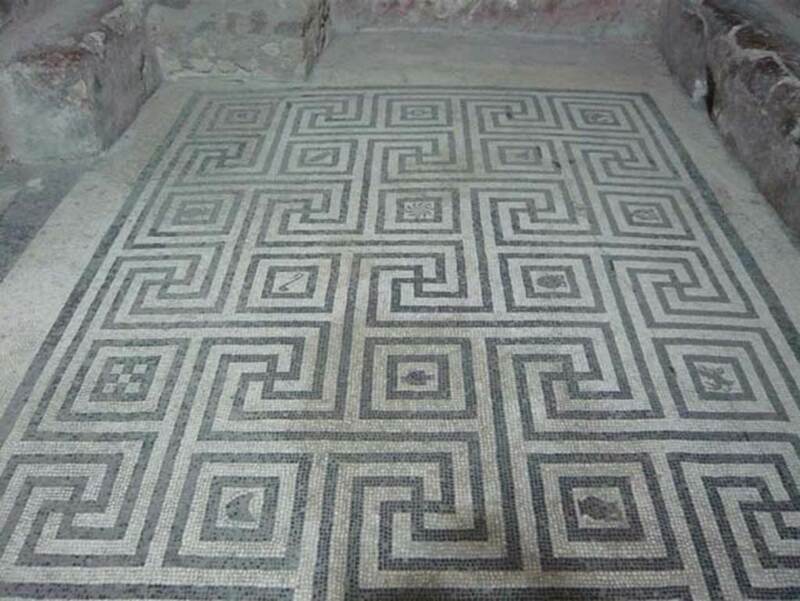 Mosaic floor in tepidarium. Photo courtesy of Peter Woods. VI.8, Herculaneum. May 2010. 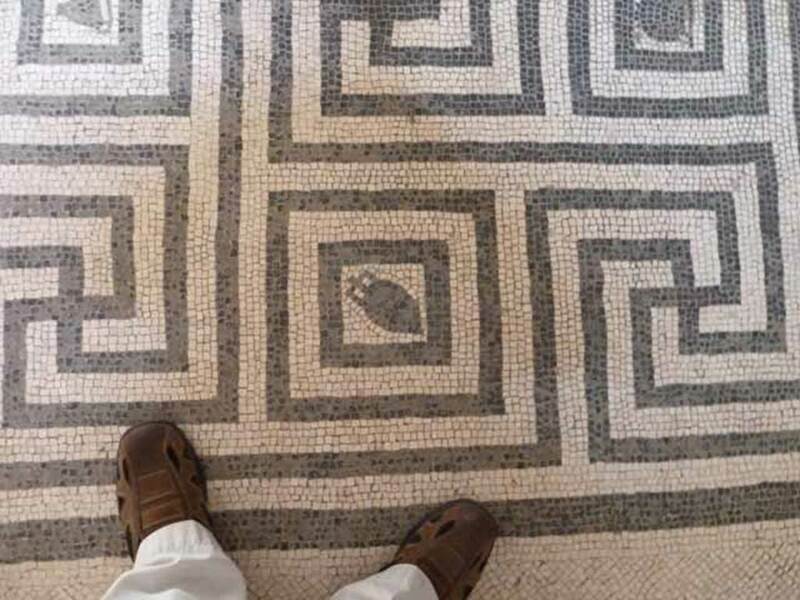 Detail of meandering mosaic floor in tepidarium. VI.8, Herculaneum. May 2010. 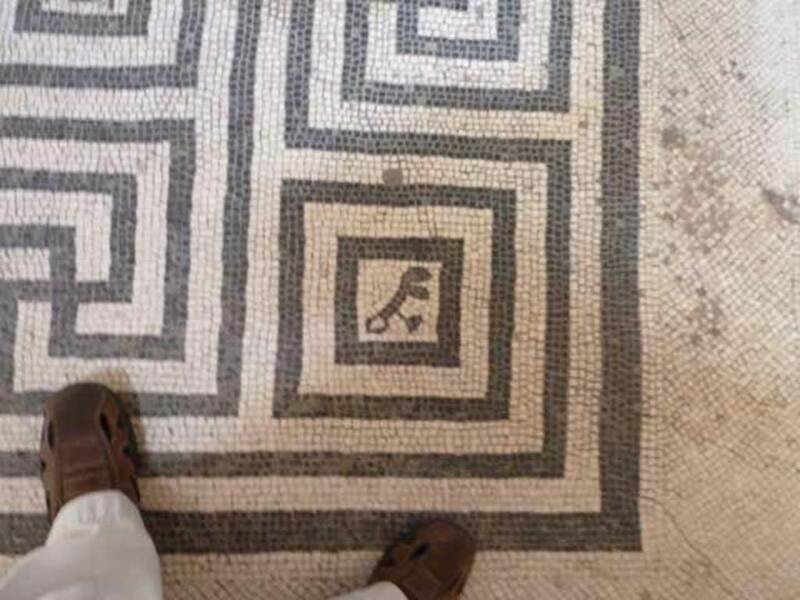 Detail of mosaic floor in tepidarium.